JDRF is creating a future without type 1 diabetes (T1D) by funding and advocating for breakthrough scientific research. One of our strategies is to help promising scientists establish careers in the field of T1D research. The investigators featured here form the newest group to receive early-career funding from JDRF. Meet the future of T1D research. A goal of Elad Sintov, Ph.D., is to find a way to transplant beta cells without the use of immunosuppressive treatments. In a small subpopulation of people living with T1D, transplantation of beta cells can be, literally, a life-saver. Unfortunately, they require long-term immunosuppressive treatments, and most of those beta cells will be gone at two years, rendering these people insulin-dependent again. One avenue to overcome this is to produce the beta cells from stem cells, which have been modified to be immune to a cellular attack. In other words, making insulin-producing beta cells unrecognizable to the immune system. That’s what Elad Sintov, Ph.D., is trying to do, with a JDRF postdoctoral fellowship at Harvard University, sponsored by MilliporeSigma. These awards are designed to attract exceptionally promising investigators early in their faculty careers. 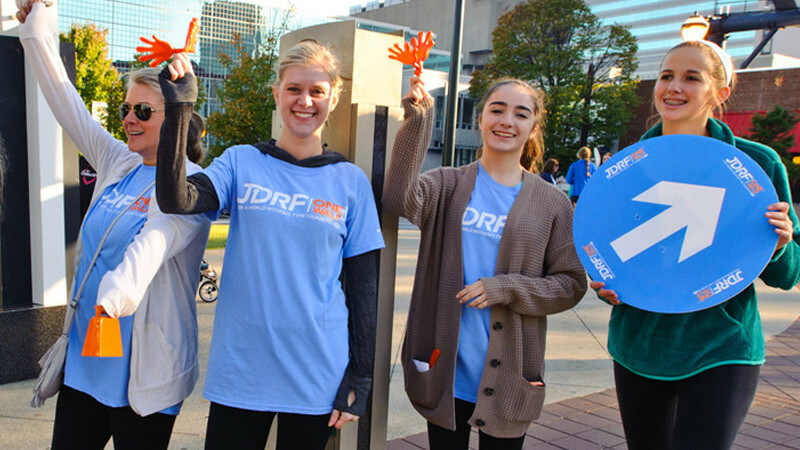 In the five-year term of the award, grantees will have the opportunity to position themselves at the leading edge of T1D research, on a subject directly related to JDRF mission goals and research priorities. These awards are intended for clinical researchers at a relatively early stage of their independent career. Recipients must have an M.D. or M.D.-Ph.D., hold an appointment or joint appointment in a subspecialty of clinical medicine in a clinical department and conduct clinical research. These awards are designed to attract qualified and promising health scientists to receive full-time research training, assisting these promising individuals in the transition from a fellowship to an independent position. This three-year award term has an optional one-year transition award, to serve as a bridge between the fellowship and an independent faculty appointment. Adult onset T1D: Slow progressors or late starters? Postdoctoral fellowships are designed to attract qualified, promising scientists in the T1D research field. These recipients are to work with a sponsor who can provide a training environment conducive to beginning a professional career in T1D-related research. Verena van der Heide, M.D. These awards are designed to increase the capacity in diabetes clinical psychology and diabetes psychology research. It is a combination of clinical diabetes care and diabetes research, and each recipient should have a career interest in diabetes-specialized psychology. These awards are designed for International Society for Pediatric and Adolescent Diabetes (ISPAD) members below age 40 (or 45 for the Allan Drash Clinical Fellowship), who wish to pursue a career in diabetes related research. It is designed to cover expenses to an ISPAD member’s Centre of Excellence. By donating your time or dollars, you are funding promising new scientists who share our mission of ending T1D.